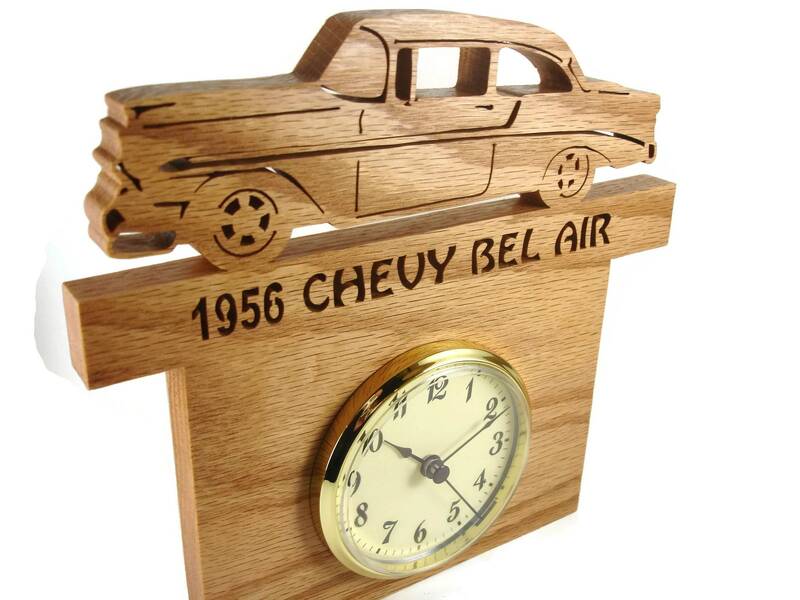 If you or someone you know is a classic Chevy enthusiast then this unique hand cut 1956 Chevrolet Bel Air wall hanging clock is the perfect gift to get for yourself or that special Chevy Bel Air enthusiast you know. 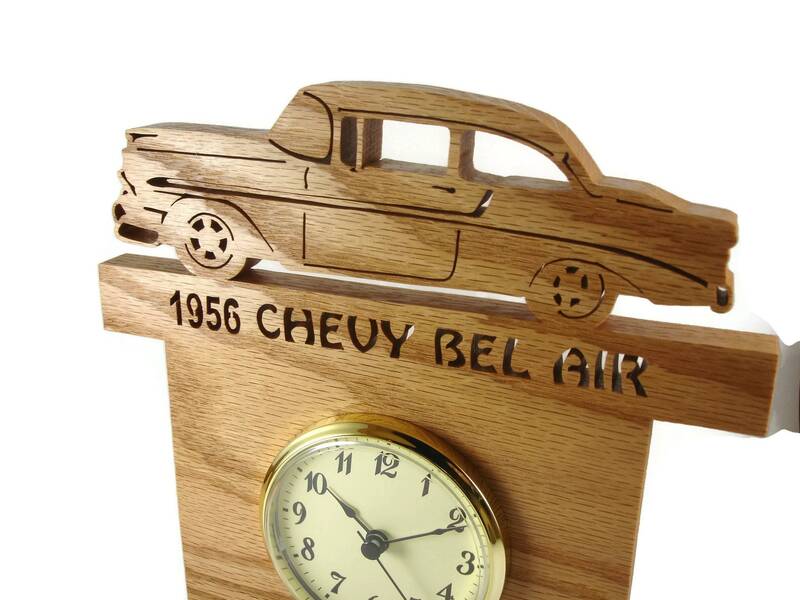 This 56 Bel Air was cut by hand from 3/4 inch Oak wood using a scroll saw, and features the Bel Air hot rod car with a blower sticking out the hood. 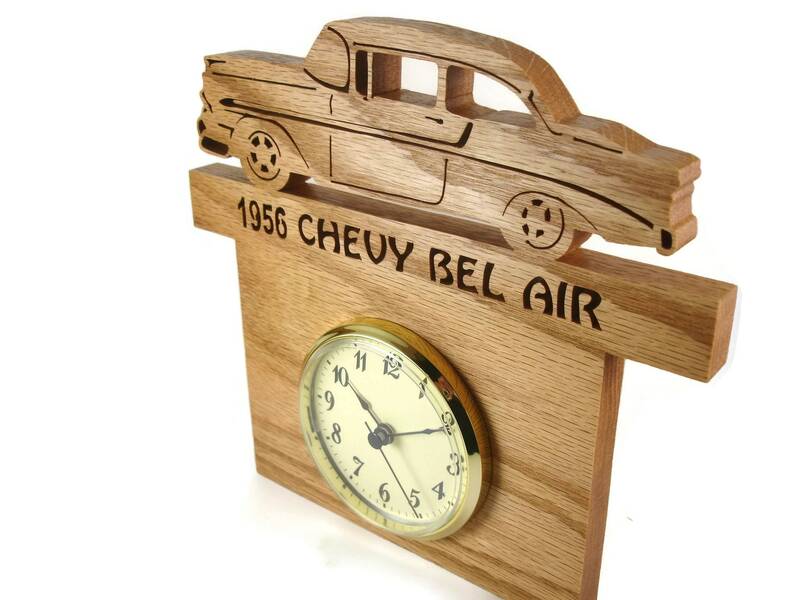 The car is rested on the banner with the words cutout " 1956 Chevy Bel Air" , and below is the spot where the 3 inch diameter clock insert rest. 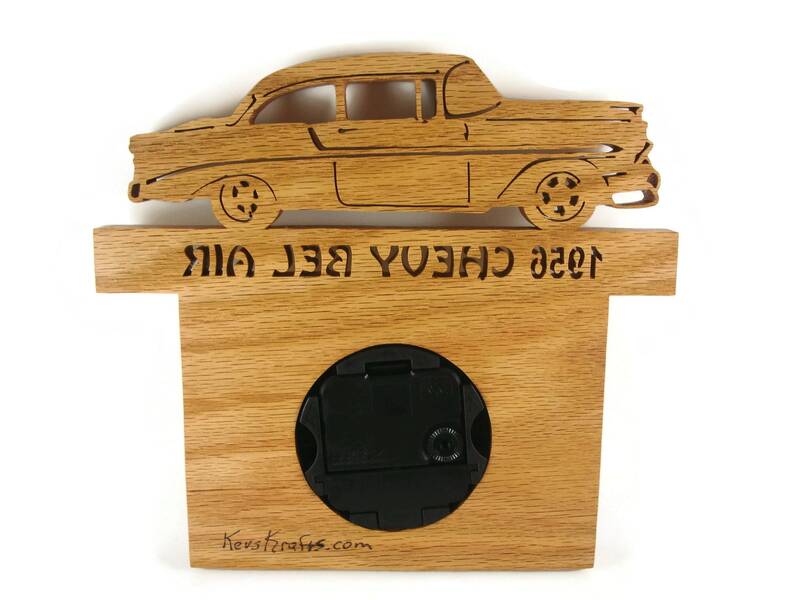 This is finished with a natural homemade mixture of beeswax and mineral oil for a all natural look to the wood while giving it superior protection for many years of enjoyment. The 3 inch clock insert features a ivory color face with black Arabic numbers. A chrome plated bezel / trim. Clock runs on one AA battery. Battery not included. 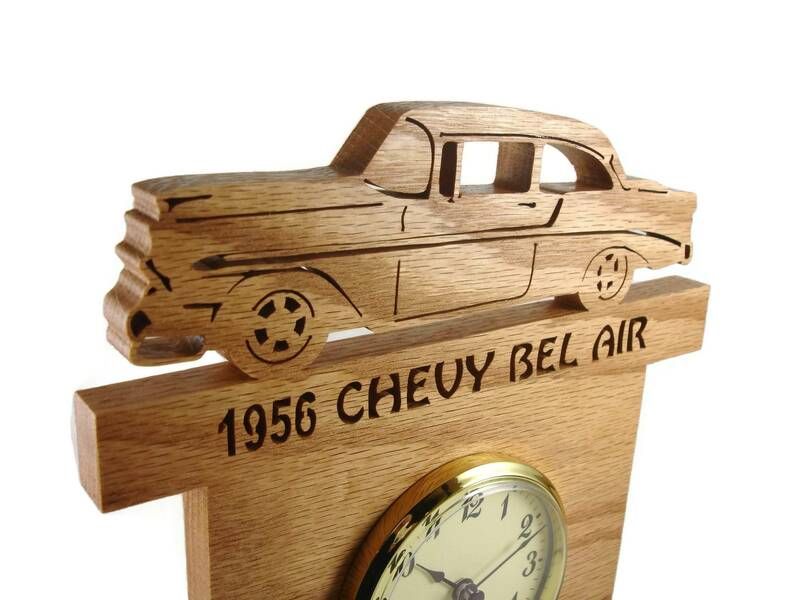 Can be ordered from other types of wood if Oak doesn't match your decor style. Message me for details and pricing.